The previous highest rated & strongest tournament was the Tal Memorial 2013 in Moscow with an average rating of 2777.4, a Category 22 (2776–2800 ELO/rating range).tournament. The 3rd Zurich Chess Challenge was held at Hotel Savoy Baur en Ville, Zurich, Switzerland on 29 January to 4 February 2014. The format of the tournament was unique since it has 3-stages (Blitz, Classical & Rapid) and the ‘Final Standing’ is determined by the aggregate points gained from both the Classical/Standard + the Rapid chess. 1. Blitz: 29 Jan: 5-Rounds (use to decide the draw & colors) : won by Magnus Carlsen via tiebreak. Aronian tied with Carlsen @ 3.0/5 settled for 2nd place. 3. Rapid: 4 Feb: 5-Rounds (1-pt to wins, 0.5-pt to draws & nil for losses): won by Fabiano Caruana scoring 4.0/5 points (+3=2). Caruana, winner in 2013 edition, played superbly in the rapid, winning versus Carlsen(R4), Nakamura(R1) & Anand(R3) but overall was 1-point short to catch-up Carlsen at the helm. 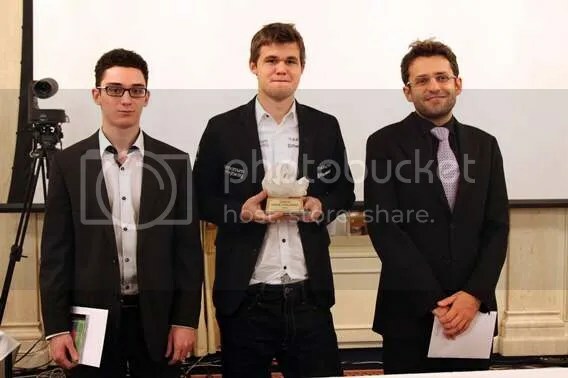 WC Magnus Carlsen, the sole 1st place winner, scored an aggregate of 10-points (8-pts from Classical + 2-pts from Rapid) to lead by 1-pt over Fabiano Caruana and Levon Aronian who tied at 9-points and placed 2nd and 3rd overall respectively. Hikaru Nakamura with an aggregate of 7.5-points placed 4th while the former WC Viswanathan Anand scored 5.0-points to place 5th and Boris Gelfand was 6th with 4.5-points. 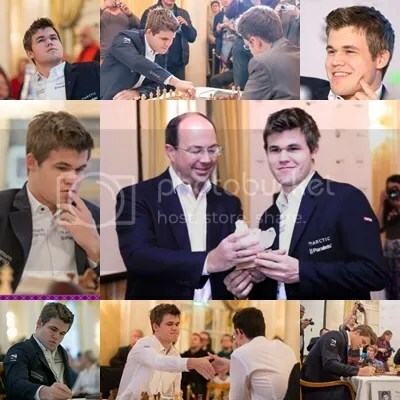 Magnus Carlsen round-by-round results in Classical or Standard at Zurich Chess Challenge 2014 showed that with his 4.0/5 (+3=2) points with a TPR of 3027 he gained a +9.2 rating points that up his Live rating to 2881.2, and an all-time high FIDE rating of 2881 come Mar 2014 FIDE rating list. 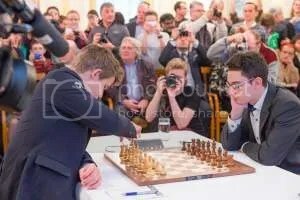 He also broke the all-time high ‘Live Rating’ record of 2878.9 (that he recorded in R10 in London at the Candidates Tournament on 27 March 2013) when he defeated Fabiano Caruana in R4 and registered a new all-time high ‘Live Rating’ record of 2882.6 on 2 February 2014. 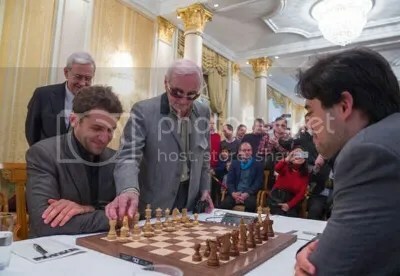 Likewise, Levon Aronian set his own new high Live Rating record at 2835.5 [that ranks 3rd in the all-time high Live Rating record next only to the 2nd best registered by Gary Kasparov at 2856.7 on Mar 3, 2000], also in R4 on 2 February 2014 when he defeated Hikaru Nakamura. Levon’s previous high was at 2832.6 (Jan 25, 2014). Aronian’s loss to Caruana in R5, brought down his Live Rating to 2830.1 that would be 2830 in March 2014 FIDE rating but still would be his PEAK Rating ! 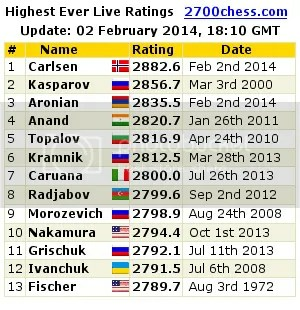 With Magnus Carlsen’s 2881 and Levon Aronian’s 2830 come March 2014, Carlsen is just 19-points short to breach the 2900 mark while Aronian needs a +70. I hope he will defend his champ belt in 2014!